Norton Chapel, located on the shoreline of Keuka Lake, provides a most memorable setting worthy of your most special day! With seating for 650 people, Norton Chapel will evoke awe and admiration from your guests as they witness your day of matrimony. Your wedding ceremony will be on the edge of beautiful Keuka Lake, and surrounded in elegant and exotic materials such as naturally finished timber trusses from Oregon, cedar ceiling decking from the Pacific Coast, Vermont white marble, chandeliers made of Italian blown glass, and a magnificent soaring backdrop of a 2,469-pipe organ with Spanish horns. 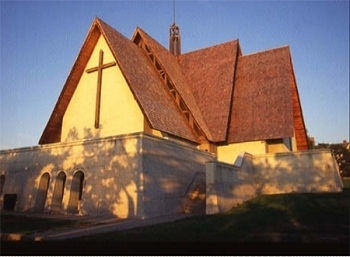 We welcome you to consider Norton Chapel at Keuka College for your wedding in the heart of the Finger Lakes.